If you’re wondering what the reverse of Charades is, it’s when the whole crowd is acting out the secret word and only one contestant is guessing. We played this with two groups going head to head and it was a blast. 1. 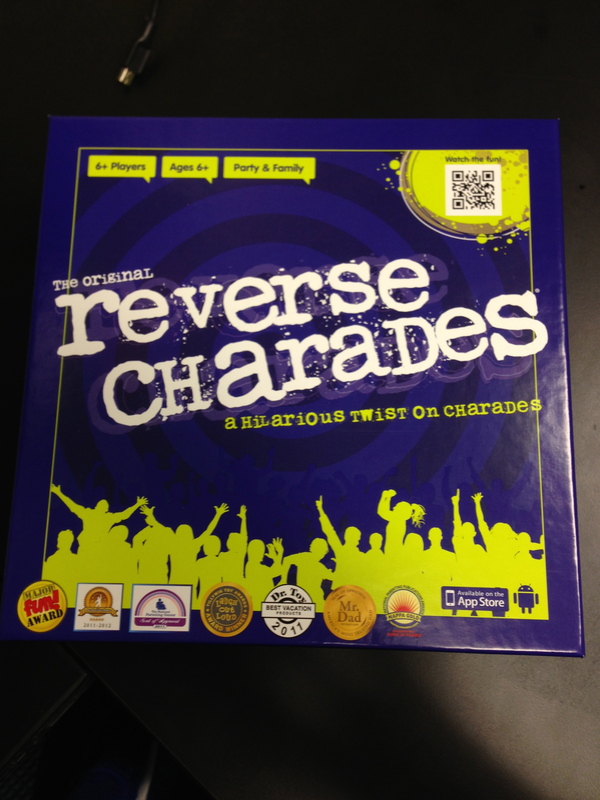 The Board Game “Reverse Charades”. I stumbled across this game at Barnes and Noble and immediately knew it would be a hit with our students. You can buy it here. It really depends on how you want to play. You could just play with the supplies that come with the board game and no other prep is needed. Or you could create screen graphics (that’s what we did) so that the word pops up on the screen behind that player trying to guess the word. But that would be it, no other prep needed. We split the room down the middle so it was the left side vs the right side. 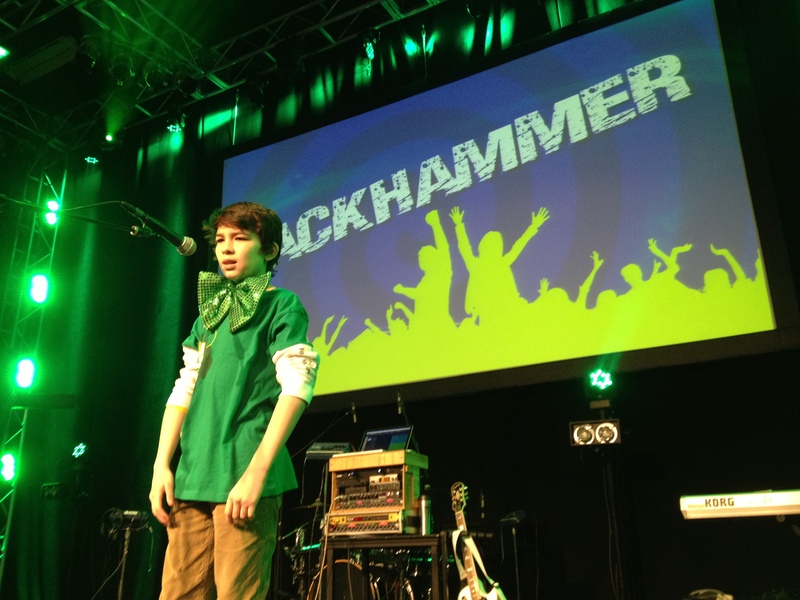 One player from each side was chosen to be the “guesser” while everyone else in the crowd were the “actors”. Once our guessers were ready, we put the word on the screen behind them so everyone in the room could see it except them. Then, everyone tried to get their side’s guesser to guess the word that was behind them by acting it out. Whoever guessed it first scored a point for their team and we chose new guessers for every round. Of course, all normal Charades rules applied like no talking and so on. 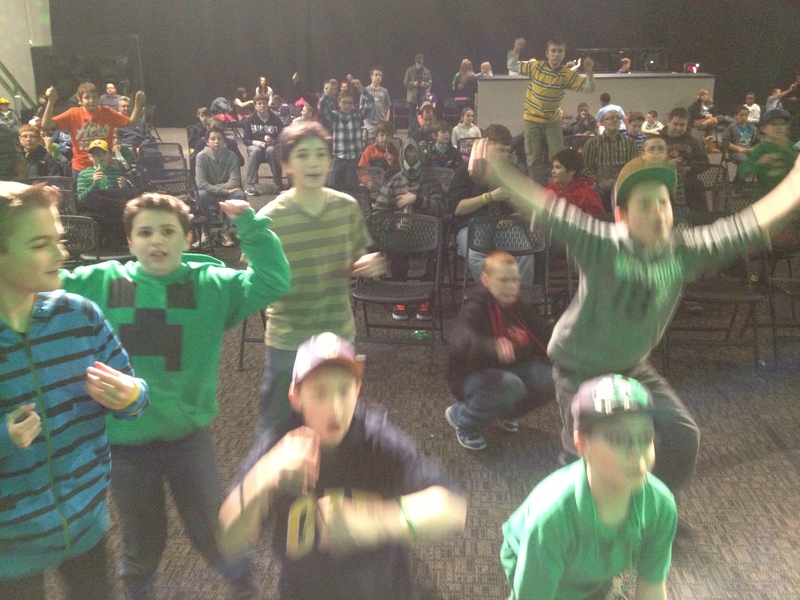 Haha yeah, pretty much any game is a hit if you promise to throw candy. This game was cool, it’s always fun to take a classic and make it life size. 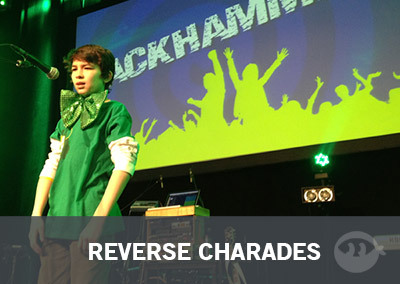 I was able to find a Reverse Charades app (sampler) in the Google Play Store for free (or you can purchase full versions for $0.99). Not sure if there’s an Apple version. Nice! Yes, I just found it on the Apple App Store too. Great find! I used the iOS version last night. There’s an app called reflector ($13) that will actually turn your laptop into an airplay device. You can just wirelessly throw the app on your screen from your ipad or iphone. I had to use the kids charades app(free) though, because when the reverse charades app(free) airplays it only shows the countdown and team name on the display and the clue on the phone. But my kids loved the idea and i’m thankful for it! It was a great no running to the store to get items game! How did you create the background and such for the screen? I was trying to find useable images but I can’t seem to find anything that will work. Because of potential copyright issues from the actual game Reverse Charades, I can’t distribute the graphics we created, but what we did was create them ourselves. I just googled “crowd silhouette” and just turned it green and put a purple spiral behind it using photoshop. The majority of coupons have expiration date.